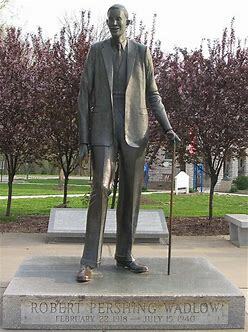 Walkers can view the Robert Wadlow statue on the walk. Walkers may purchase an embroidered patch depicting Robert Wadlow, the tallest man in the world. The patch will be available for $4 at the start table. Only 50 patches will be available for purchase.